Odyssey (OCN) - Events, Price, Market Cap, Supply, Exchanges and more! Odyssey aims to become a decentralized peer to peer economy sharing ecosystem, to increase marketplace efficiency and reduce overall operating cost. It uses both blockchain smart contracts as well as AI and big data. 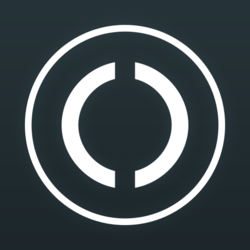 OCOIN is the token on Odyssey, which will be used as a fuel within the Odyssey ecosystem. Date of listing City: Fri 11/16/2018 17:00 payment address Open: Fri 11/16/2018 24:00. 1St OCP Airdrop will be distributed the 31st of August. 10 000 000 000 OCP to be distributed to OCN Token holders. Snapshot for Aug 31 airdrop. "Odyssey(OCN) officially releases OcPay Android beta with v1.0 in early July"
Odyssey is candidate for the Tron Super Representative election held on June 26, 2018.